The firm BG electric is located in Germany and is the official distributor of the European manufacturers of industrial electronics and components for automation of production. With the full support of manufacturers, we offer a wide range of products for enterprises, system integrators, repair and service companies. INSEVIS-customers have complete new chances to reach a sustainable advance for their products. And all this by using existing programming tools with existing know-how by S7. INSEVIS-products offer a chance for technical over value and help to increase the independence of its users. The outstanding quality level bases on German engineering and production only in Germany. Every item is designed to be a serial part but adaptable to each single customers application. INSEVIS-products are the demonstration, how good German engineering and production are to combine with marketable price level. Modesty, knowledge and respect for the tasks of our customers did lead us to a responsible and reliable S7 system supplier. 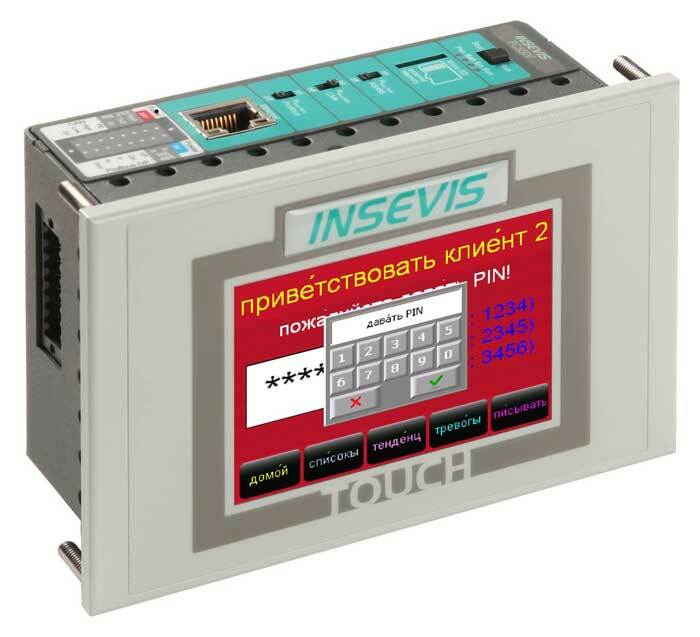 With INSEVIS-products you will increase the value of your application without loosing your project economy. Therewith you certainly will improve your chances in your part of the market – sustainable. All INSEVIS-S7-CPUs contain onboard Ethernet, Modbus, CAN, RS232 and RS485 and can be equipped optional with Profibus DP resp. Profinet IO Controller. To be programmed with S7 by SimaticManager or TIA-Portal from Siemens always. Free SFCs and SFBs are available to expand the fields of application without extra charge. INSEVIS owns the operating system and adapted it optimally to the hardware of the CPUs regarding the execution of your S7-program together with your visualization. This guarantees fast booting, low power consumption and a real availability a life time long. Perfect to service – you do not even need a PC for updating. 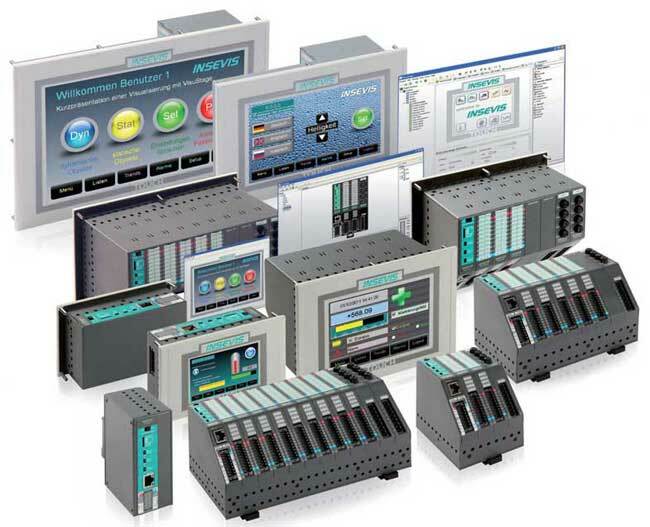 Programmable with S7-tools SimaticManager and TIA-Portal from Siemens and equipped with enough memory (512kB…1MB work- and 2…8MB load memory) as well as multiple communication interfaces as Ethernet (S7-communication, TCP, UDP), Modbus (TCP, RTU), CAN (CANopen and Layer2), RS232 and RS485 (free ASCII) and optional Profibus DP Master/Slave or Profinet IO Controller. This product line for DIN-rail mounting combines powerful S7-CPUs with onboard interfaces and modular periphery in a metal cover to be save against rough environment in a temperature range from -20…+60°C. It is possible to create a small I/O visualization with some texts by VisuStage in PC-monitor-format and display it remote on you PC – all free of cost. Your visualization presents your product like a showcase. Impress your customer with fast switching pages by these high class panel from INSEVIS up to 15,6 inch. Create your visualization faster than your competitors, without limitation by tags and multiply your screens to any other size by our VisuStage. Every visualization of these panels can be controlled remote – free of cost. Metal front frames with protection class IP65 provide a high quality impression on the first view. Labeled with customers logo they make INSEVIS- customers inexchangeable. Special front plate constructions are no problem for the engineers of INSEVIS.